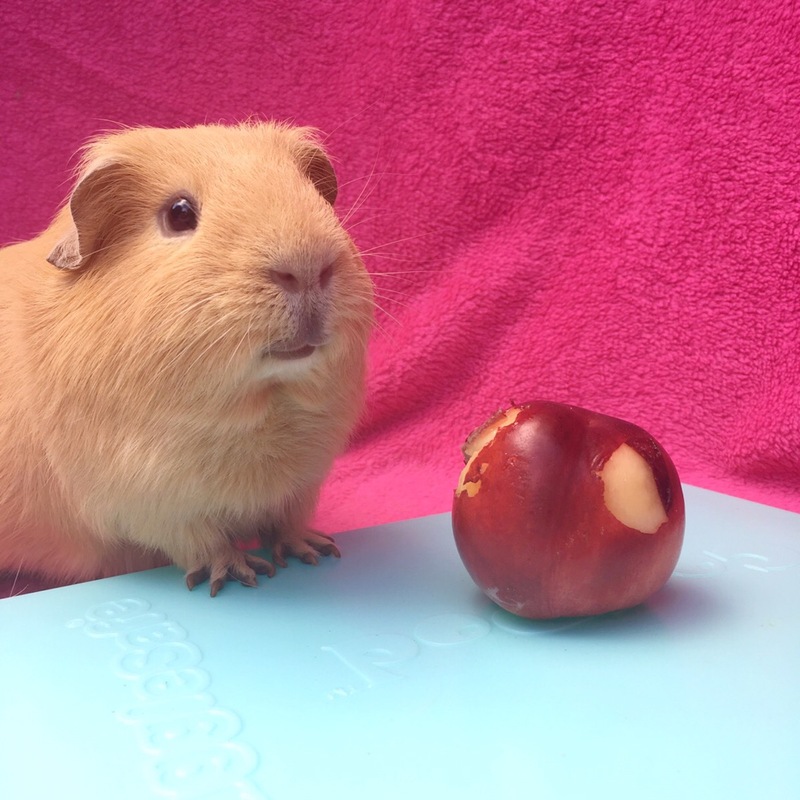 Today we continue our guide to treat fruit and veg for Guinea Pigs. Nectarines are a soft, juicy fruit with a stone in the middle. 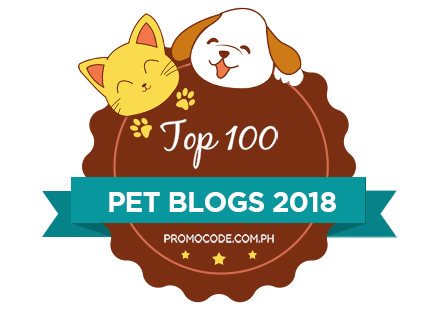 The skin is soft and perfectly edible by both Guinea Pigs and humans. The stone in the middle is very hard and not edible. It should always be removed and disposed of well away from other animals like dogs who may swallow them (you could always plant it). Surprisingly although reasonably sweet in taste nectarines contain less calories and sugar than apples and actually have a higher level of vitamin C.
Nectarines should be cut up with the stones removed. Nectarines contain a reasonable scattering of other vitamins and are a particularly good source of phosphorous that helps maintain strong bones. 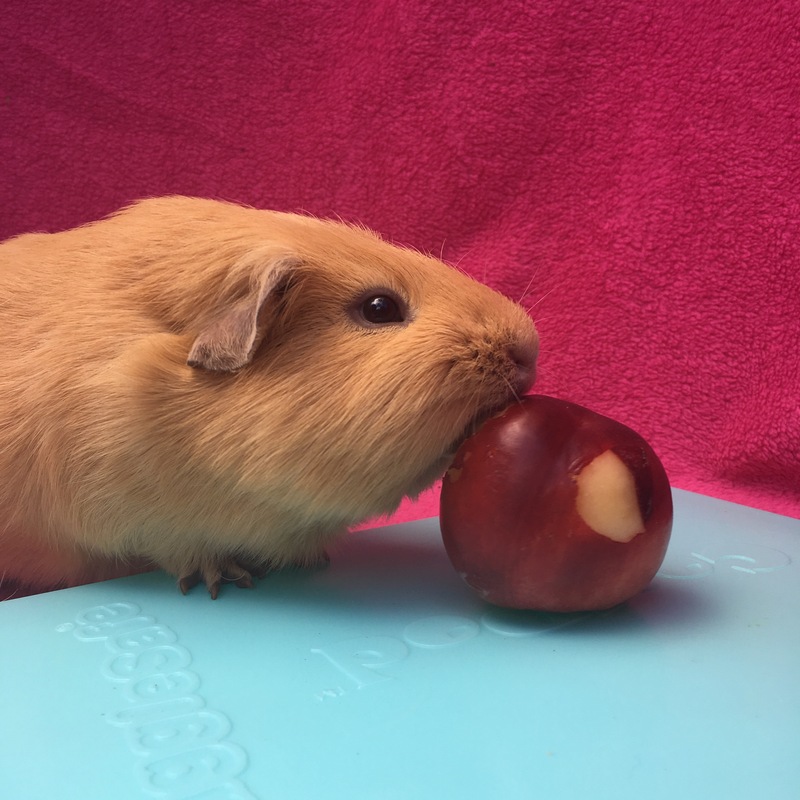 Nectarines make a fabulous treat that Guinea Pigs usually love. Nectarines are not something I frequently buy the Squidgypigs however when is humans have them throughout the summer the piggies always enjoy a slice each. Since nectarines are technically a smooth skinned peach; all of the above apply to peaches. Unlike standard potatoes that should never be fed to Guinea Pigs (harmful toxins); sweet potatoes are perfectly edible. The skin is thin and can be fed without problems as long as they are clean. Sweet potatoes contain a reasonable amount of vitamin C which is good; however they also contain a high amount of oxolates and calcium that can lead to bladder problems. 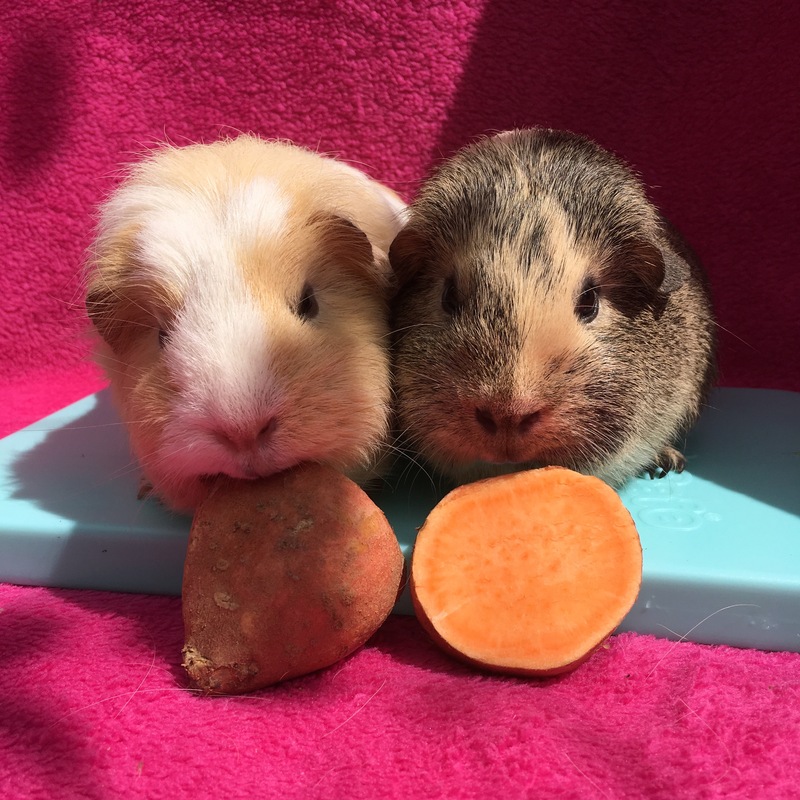 We feed the Squidgypigs cleaned but not peeled sweet potato however not many of them are particularly fond of it so it is a very rare treat for those that do like it. Perhaps a small piece once every few months. 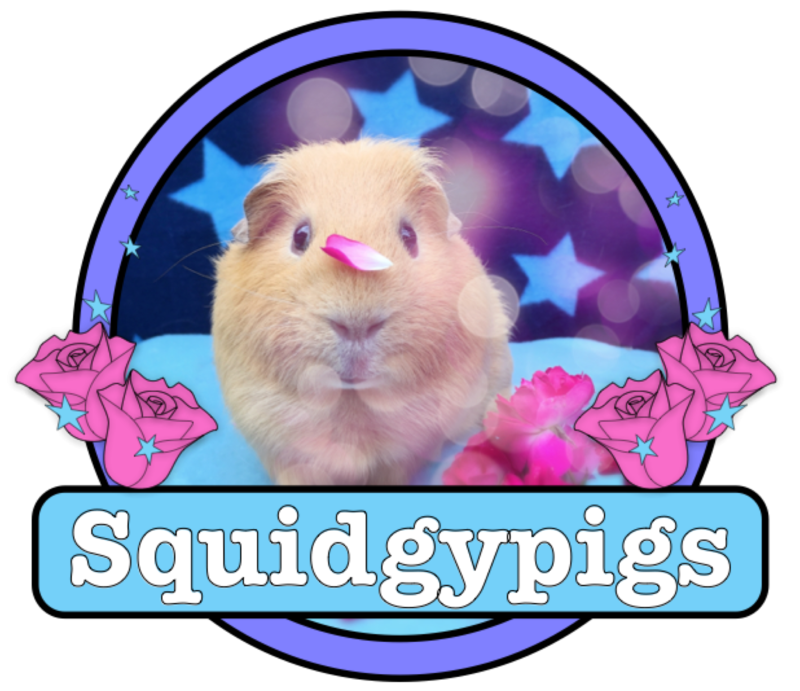 I certainly wouldn’t buy sweet potatoes for the Squidgypigs. Sweet potatoes feature in Binky and Wheeks Sunday Lunch, you can see our review HERE.